I've been rather quiet this year (jewelry wise) due to my work schedule and family life and I haven't been able (sadly) to participate in any of the fun blog hops, challenges and social media events. 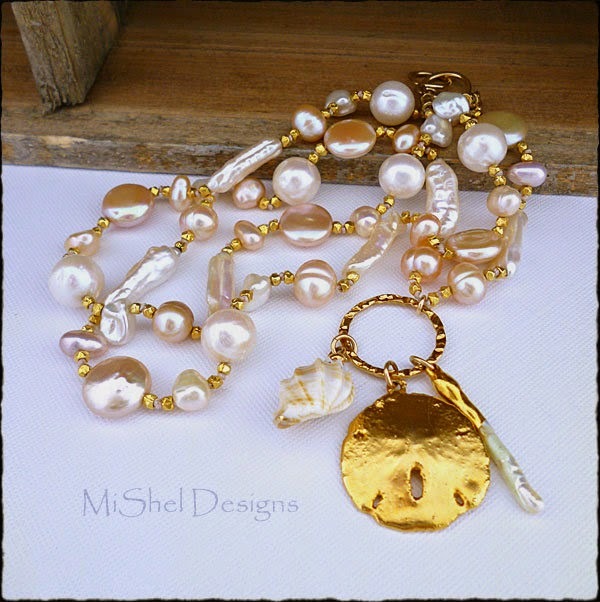 When a couple of gals ask me if I was going to do another Pearls Blog Hop this year, I responded that I hadn't thought about it. One mentioned that if I did another Pearls hop I should do it in June, since the Pearl is June's Birthstone, and I knew it would definitely be fun, so I decided to just do it! 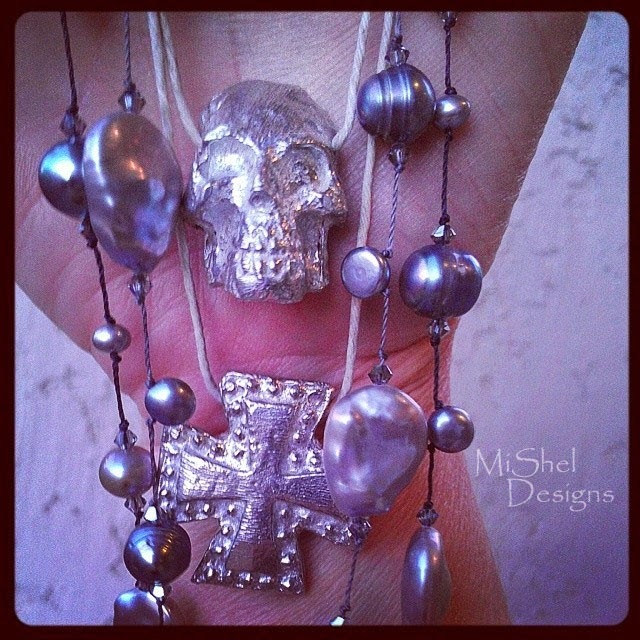 1) Create something (doesn't have to be jewelry *Gasp! *) with pearls in it. A lot of pearls, a few pearls - your choice. Your creation can be any style or pay homage to any era, age, region, etc. (Classic, Glam, Boho, Cottage-Chic, Goth, Steampunk, Art Deco, etc.) You name it - you can make it! 2) They can be real pearls (freshwater, saltwater, Tahitian, South Sea) or imitation pearls (Swarovski, Czech glass, plastic, shell pearls, etc. ), or a mixture is just fine, too! 3) Post the reveal of your creation(s) on Sunday, June 29th, 2014 on your blog and then come here and link up with the Inlinkz tool I'll have posted at the bottom of my post on June 29th. (This way it's easy for people to link up and hop around). That's it! Pretty Simple, huh?! Pinterest Board and check out all the items I've pinned. And, why not start your own Pearls Pinterest Board and keep track of all your favorite Pearl Pics! Pearls! Pearls!! Pearls!!! Blog Hop Reveal post. 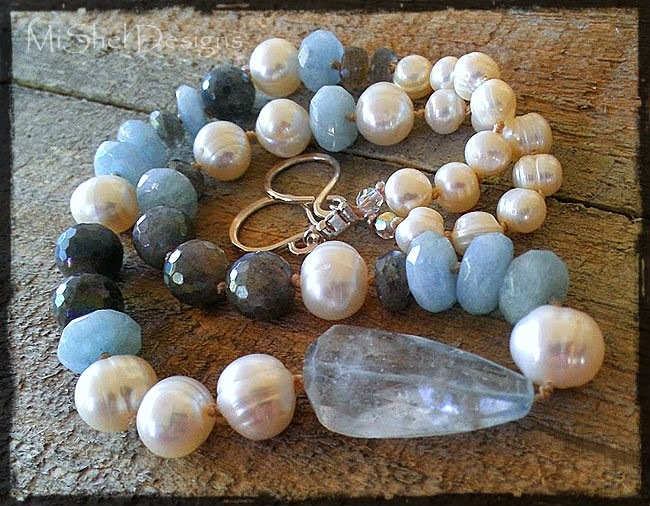 There's tons of links on last years Pearls Blog Hop post related to pearls; from Pinterest Boards to tutorials on designing with pearls, Pearl History, Education and Pearl Farming. There's even several bead shops and suppliers so you can shop for gorgeous pearls, too. 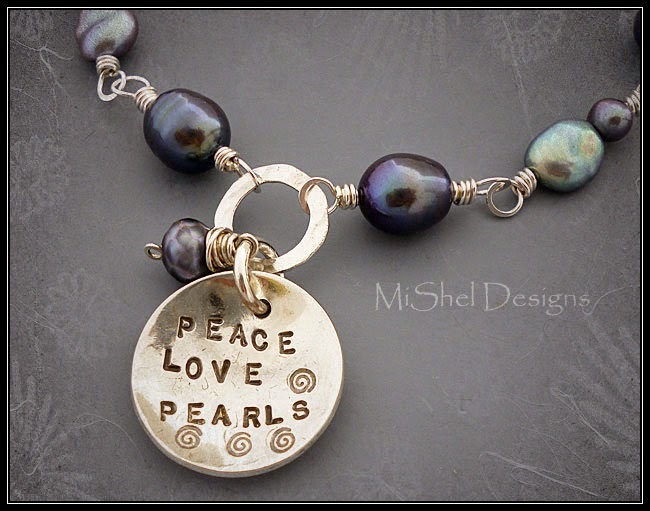 And, here's the link to my Pearls Page here on the blog as well, with even more information and inspiration for you. "Pearls are for any person, for any reason, any time, any place, any season!" 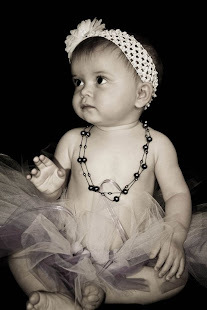 MiShel Designs Model 'Miss Layla' wearin' her pearls!! Feel free to put the Pearls! Pearls!! Pearls!!! Blog Hop Button up on your blog if you'd like, too. Sunday - June 29th, 2014! I would love to participate! 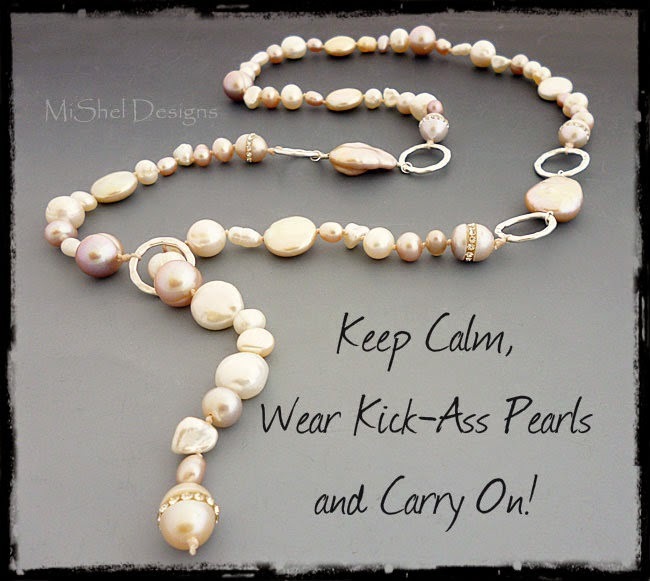 I need to get motivated and love pearls so count me in! Wonderful Sanra! Would you mind emailing me at shel@asicj.com w/your email and blog URL so I have it when I send everyone the inlinkz code the night before the hop? Thanks a bunch and I'm excited that you're joining us!! 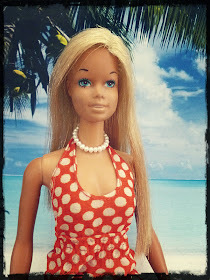 Has it been a year since the first Pearls Blog Hop !!?? I'm ready to go again...Let's do this! Per usual, I love all of your creations. 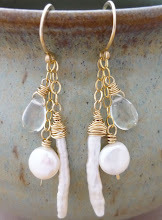 I am hopelessly in love with these 'creations'-by-bivalves. Thank you so much! I clicked on your link to try and add your email and/or your blog URL to my list, but there isn't any info on your blog or a way to contact you - would you mind terribly sending me an email at Shel@asicj.com w/your blog url and/or your email? Thanks a bunch!! Cool Linda!! I'm so happy to have you joining in! 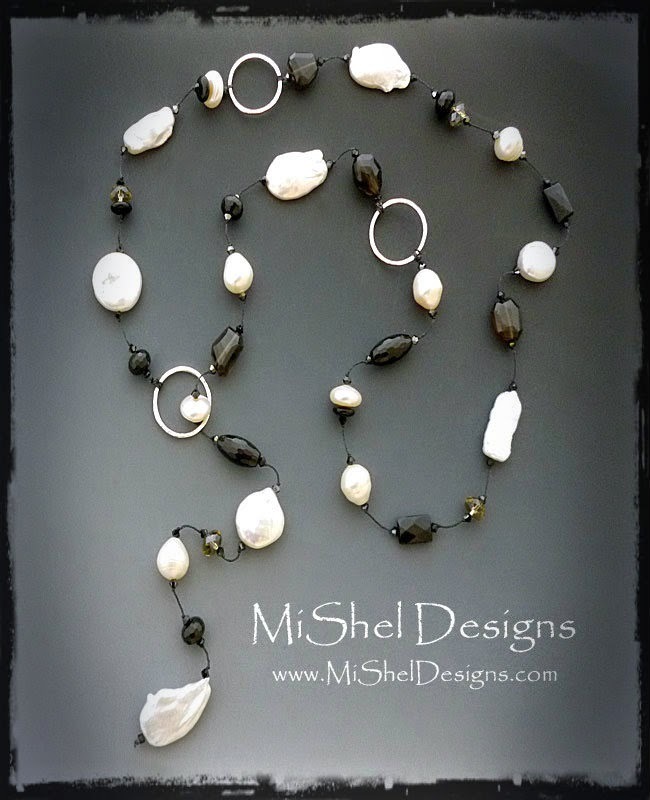 I'm planning on doing a few posts through out the month of June on pearls - tutorial links, fashion and pearls, how to incorporate pearls into your designs and stuff like that to get people motivated and creating with pearls!! oh you know I'm in! 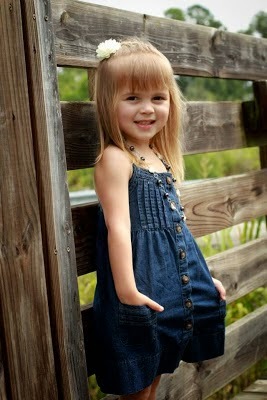 and how cute is Layla?! OK, Shel - I am in. 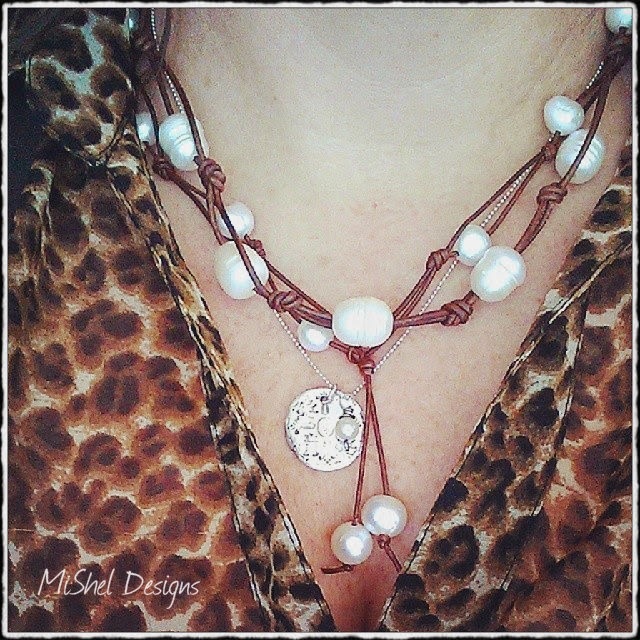 My pearl work can't hold a candle to yours but I have been saving a pattern that looks like it will be a good foundation for the challenge. Thanks for hosting! Count me in as well. Loved last year's hop. Yeah Carolyn - glad to have you join in again - thank you!! Awesome Dian - I think you will find this fun! I missed last years event and I do love pearls so count me in. Cool Mary - thanks for joining in!! Yep! I'm ready to join with others in creating something with pearls...! Yeah!! Glad you can join in Ev!! I love pearls! Love them, almost as much as gemstones! I would love to give this a try. Super Mona - glad you can join in the fun! I am glad I checked the blogs today or I would have missed this one again, count me in. count me in :) this is my first time!! Just found (and followed) your site. 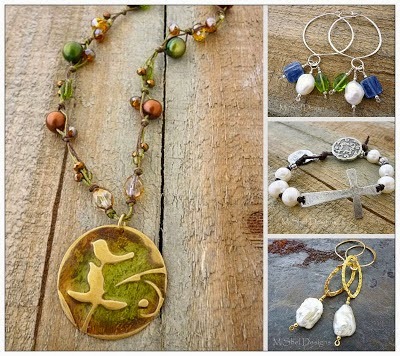 I'm new to both blog hops and jewelry-making, so I'm excited to take the plunge and participate! Thanks for the opportunity. Wonderful Valerie!! Send me your email address when you get the chance if you don't mind - that way I can send you updates between now and the June 29th Reveal date. Thanks a bunch!! You got it Kepi! Email me your blog info or just come back here on the 29th and link up with all who are participating!! So glad to you have join in!! I think I'm going to sign up for this because pearls have always been a stumbling block for me and I'd like the challenge to see where I can go with them.My email is wirednan13(at)hotmail.com.Let me know if you need anything else. Thanks Shel. You got it Mags!! Thanks so much for hoping along w/us. I have your email from your blogger profile, so we're good to go there!! I hope I'm not too late. I enjoyed it the hop last time, but have so many more ideas this time around! I'm so glad you're going to do this again! Nope, Lisa, you're definitely not too late!! I have all your info in my fav's so you all good there! Excited that you can join us again - it's going to be fun! !